Memorial Day Weekend is the unofficial start of summer on Long Island’s North Fork. New Yorkers tend to do one of two things over those three days: they stay home, clean, and wish they were someplace else, or they head to the East End of Long Island. Our Long Island Bed and Breakfast is located in East Marion, near the very tip of the Long Island on the North Fork. The historic seaport of Greenport is just down the road. There is plenty to do here, and plenty of places to do nothing at all. See the Tall Ships in Greenport over Memorial Day Weekend. Tall Ships in the Village of Greenport. The ships are scheduled to arrive on Friday and Saturday. Tours of the ships will be offered all day Sunday and Monday. Vendors will have booths set up along Front Street, which will be closed to traffic. It is going to be a festive occasion this Memorial Day weekend. Live Music at Clovis Point Winery. Clovis Point Winery is about 30 minutes from our NY Bed and Breakfast. The Earthones will play folk rock on Saturday from 2-5 p.m., and Small Island will play classic rock on Sunday from 2-5 p.m. Is there anything better than sipping wine in a beautiful setting, with live music setting the mood? We think not! Live Music at Duck Walk Vineyards. Enjoy fine fine and music by Bob Carney from 1-5 p.m., Saturday. Live Music at Martha Clara Vineyards. Playn & Simple plays from 2-5 p.m. on Saturdy; the NY Minute Band plays Sunday from 2-5 p.m; and Buttered Soul plays on Memorial Day from 2-5 p.m. A few hours listening to music at this beautiful vineyard is the perfect way to wrap up the weekend. The Orient Point Lighouse, at the tip of the North Fork. Walk down the street from our NY Bed and Breakfast to the Dam Pond Maritime Reserve, where trails lead through salt marshes and young hardwood forests to beaches. 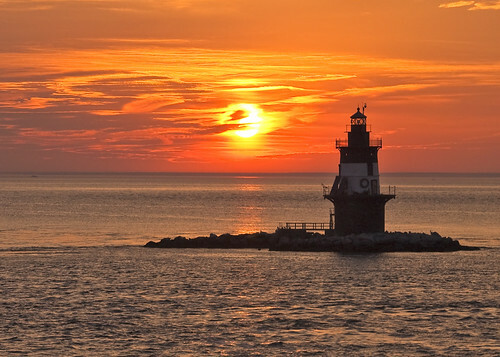 Rent a boat in Greenport and explore the coastline of Shelter Island Sound. Drive or cycle to the tip of the North Fork and walk the beaches of Orient Point. Slow down, relax, and enjoy every moment of Memorial Day Weekend. This entry was posted on Monday, May 7th, 2012 at 6:45 am	and is filed under Long Island Things to Do. You can follow any responses to this entry through the RSS 2.0 feed. Both comments and pings are currently closed.